Look stunning walking down the aisle in this Mori Lee Bridesmaid 21566. The bodice has really cute straps as well as cute off the shoulder details. The bodice also has ruching throughout and the dress cinches in at the natural waist! 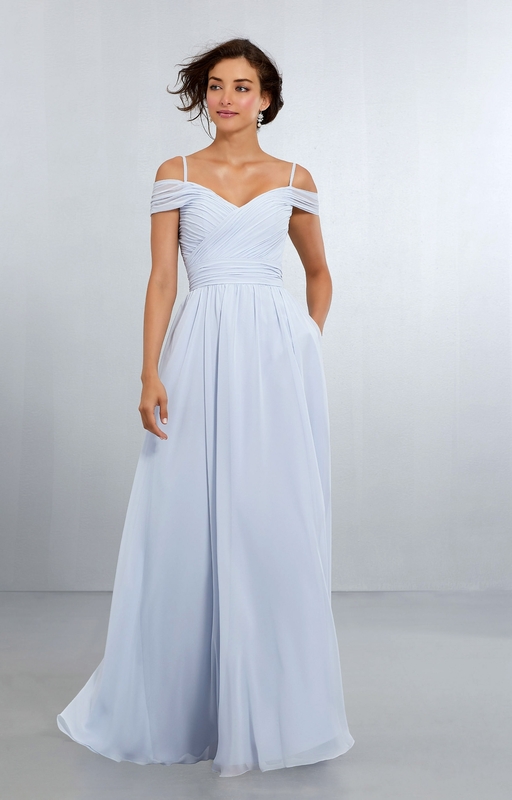 The bottom is a gorgeous chiffon a-line skirt that will be sure to flow as you walk down the aisle!